State Library Victoria – The art of a great strip…not what you think! The art of a great strip…not what you think! No prizes for guessing the theme that leapt (faster than a speeding bullet) off the new books shelf this week! 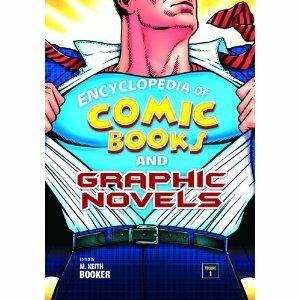 The rise of the graphic novel continues apace, but it’s good to look back at its forbears to see how resilient the comic book format has been over the last century, and how vibrant it remains today. 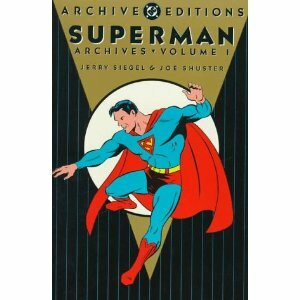 I have to admit, old “Supes” is my favourite classic superhero, an essentially decent character just trying to do the right thing. But here in his initial appearances it’s really interesting to see how his two creators first envisaged him as a somewhat tougher character, never happier than when he’s bouncing a neighbourhood thug off a wall. Hal Foster was one of the most respected and loved illustrators of his day and his most famous creation, the newspaper-strip Prince Valiant, remains breathtakingly beautiful. Fantagraphic Books in Seattle are doing us all a favour with these large format reprints. 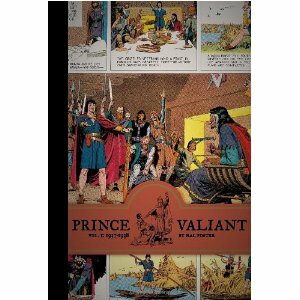 And speaking of Prince Valiant, have you seen the 1954 movie with Robert Wagner? I just don’t understand why pageboy haircuts ever went out of fashion! 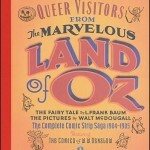 Going back even further are these charming newspaper-strip evocations of the wonderful world of L.Frank Baum’s Land of Oz; definitely pre-Judy Garland! I think that I must be a librarian, because I love encyclopedias like this. Back to where we started, a fine example of how even the most classic comic book characters are being constantly revived and reimagined by new writers and artists. 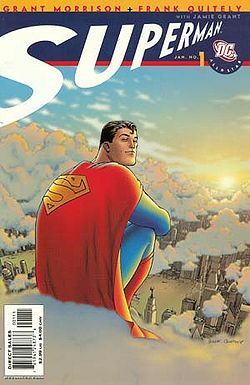 The artwork here by Scottish illustrator Frank Quitely is too lovely for words, and with writer Grant Morrison’s epic story arc, a comic book becomes a graphic novel. Go figure!